Akiko Ban is a Japanese interdisciplinary artist based in London. She makes sculptures and drawings that explore to establish a primal, naturalistic and spiritual vista of the inner world of her creation. Ban’s previous solo exhibitions include Innervisions, Sway Gallery London (2019), Revelry in Paradise 楽園の宴, Matsudo, Japan (2014), Mystic Parade 百鬼夜行, matohu, Tokyo, Japan (2013), Alive, Bicha Gallery, London (2012). Group shows include A History of Drawing, Camberwell College of Arts (2018), Summer Exhibition, Royal Academy of Arts (2016), SIXTY, LUBOMIROV/ANGUS-HUGHES, Athens, Greece (2016), I Never Lied To You, Camberwell College of Arts (2015). 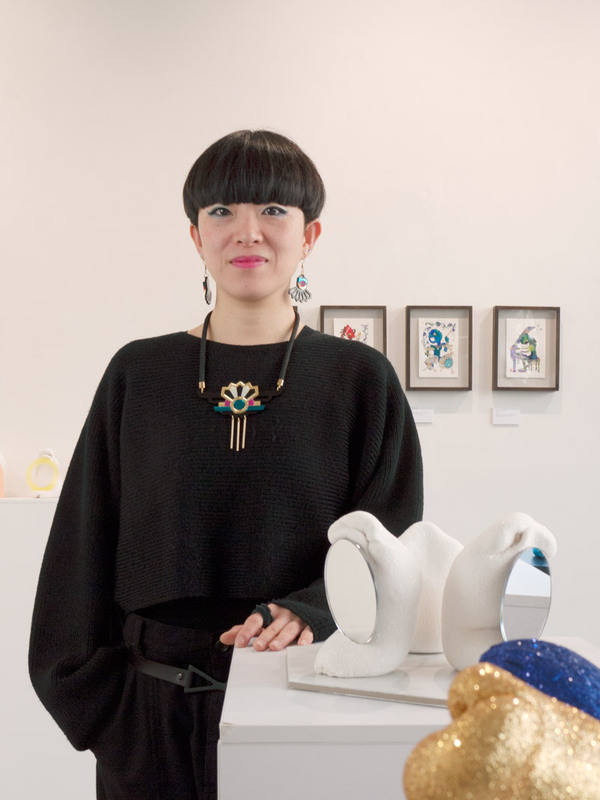 Projects include MYSTIC FORMS, Hand crafted Jewellery collection (2015-current), The Playground, Rambert Dance, London (2018-current), Create your own YOKAI spirit, Watercolor painting workshop for children, Nagareyama, Japan (2015-2018), Fashion product design for Japanese animation Evangelion (2015), Cover design drawing for Power To The People “World Peace EP” presented by Basement Jaxx (2014), In Conversation with Akiko Ban Revelry in Paradise, Artist talk, Ace & Lion, London (2014), Paradise AIR, Artist in Residence, Matsudo, Japan (2014), Hat and Accessories Design for matohu 2013-14AW collection “AWAI” (2013).